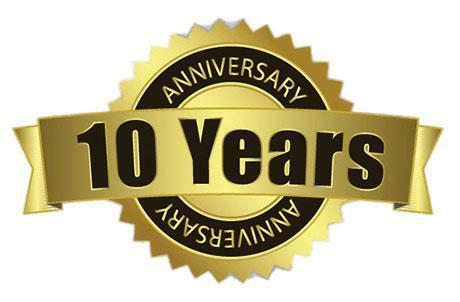 we have been serving happy patients in the same location for ten years. "Nothing but positive things to share. I have been a patient for 5+ years." "I have recommended close to 20 people to this office, all of whom are very pleased." "Love this office. They are friendly, professional, and effective." "The massage therapist is awesome." The doctors met at the prestigious National University of Health Sciences in Chicago where they graduated as two of the top students in their class. National University is America’s premier chiropractic school with educational standards that excel beyond most allopathic (MD) schools. Dr. Joseph Pate and Dr. Laura Pate bring exceptional chiropractic care to Port St. Lucie, Florida. They have been practicing in the same location for over 10 years, and have grown their base of happy, healthy patients over that time. Their services include chiropractic manipulation, massage therapy, spinal decompression, board-certified acupuncture, physical rehabilitation, and nutritional counseling. State-of-the-art diagnostic techniques assist them in the treatment of their patients. In addition to general chiropractic care for pain, strain, and headaches, the team provides specialty care for the treatment and prevention of sports injuries, women’s health issues, pediatric care, and perinatal care. Dr. Joseph Pate and Dr. Laura Pate are also passionate about raising awareness around chiropractic medicine. Both have experience lecturing at the collegiate level and have taught Anatomy and Physiology at the college and high school levels. If you’re looking for exceptional chiropractic care & experience to treat pain, headaches, and more, call today or schedule an appointment online. At Absolute Healthcare Advanced Chiropractic, we accept most major insurance plans. Here is a short-list of some of the most popular plans we accept. Please contact our office if you do not see your insurance provider listed. "Friendly, courteous and caring service. The staff is very caring and attentive to my health issues. They helped me get my pain under control." "They have helped me with everything from back pain, to shoulder problems to headaches over the years. I can not recommend them highly enough." "Went with so much pain. The receptionist is very nice, and the doctor is wonderful. After my fist visit I had so much relief. Best Chiropractor." "I couldn't be more pleased! I am 38 weeks pregnant and both doctors have been amazing. Thanks guys!"